We had more reading requests than we've ever had in our history and it's touching to know how many people wanted to participate and honor our Vietnam fallen. To find out when a specific name was read, click here. As part of the commemoration of The Wall’s 35 Anniversary, the Vietnam Veterans Memorial Fund (VVMF) is pleased to host the 2017 Reading of the Names of the more than 58,000 service members inscribed on the Vietnam Veterans Memorial in Washington, D.C. Join VVMF for this monumental event, as a reader or as a spectator, in honor of their sacrifice. WHAT IS THE READING OF THE NAMES? 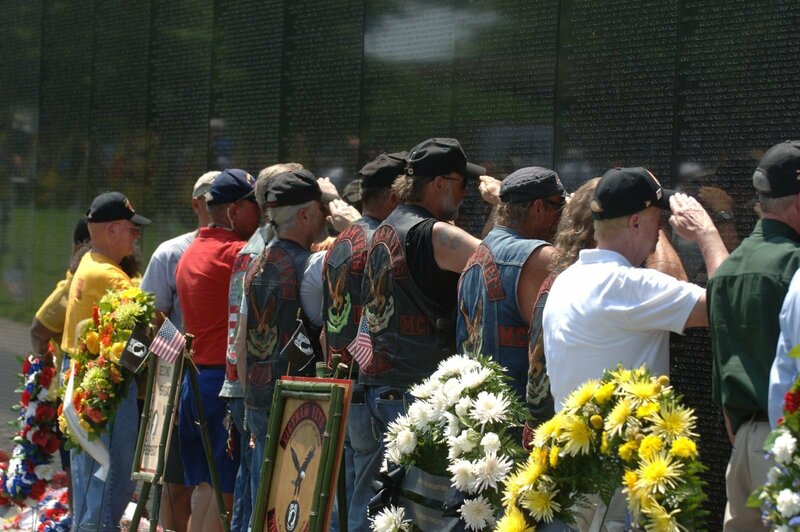 VVMF is hosting the Reading of the Names of the 58,318 service members inscribed on the Vietnam Veterans Memorial in Washington, D.C. as part of the special activities planned this November to commemorate The Wall’s 35th Anniversary. The Reading of the Names will take place at The Wall for 65 hours over a four-day period beginning with an opening ceremony on Tuesday, November 7, 2017 at 3:45 p.m. 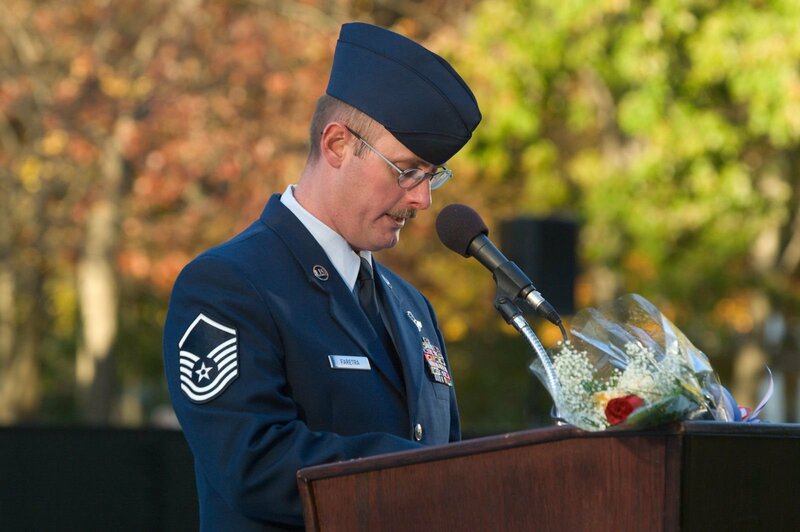 Volunteers will read names for approximately eight hours from 4 p.m. on November 7 to 12 a.m. on November 8. Participants will then read the names for 19 hours daily from 5 a.m. until 12 a.m. on November 8, 9, and 10. CAN I STILL REGISTER TO READ A NAME? Readers will read one page containing 30 names in approximately two minute intervals. Click here to download reader instructions. WHEN WILL I BE CONFIRMED AS A READER? Final notification of reading times were sent via e-mail by Friday, September 1, 2017. HOW DO I KNOW WHEN A CERTAIN NAME IS BEING READ? The Vietnam Veterans Memorial in Washington, D.C. is located along Constitution Avenue between 21st and 23rd Streets, northeast of the Lincoln Memorial on the National Mall. The VVMF Information Tent will be located on the Henry Bacon Ballfield near the corner of Henry Bacon Drive and Constitution Avenue. WILL YOU HAVE DISABLED ACCESS? Yes, the stage will be wheelchair accessible. IS THERE A HOTEL YOU CAN RECOMMEND? Find VVMF hotel room blocks and information here. Dress for comfort and weather. This is an outdoor event and will take place rain or shine. WHICH METRO/SUBWAY STATION IS THE CLOSEST? There are two Metro stops within walking distance to the Memorial. Foggy Bottom/George Washington University, blue, orange or silver line, is the closest stop – turn right at the top of the stairs and walk south on 23rd Street about six blocks and that will bring you right to the Memorial. Smithsonian, blue or orange line, is about twice as far as the Foggy Bottom stop – at top of escalator you will be facing the Capitol, turn around and walk west past the Washington Monument until you reach the Vietnam Veterans Memorial entrance around 21st and Constitution Avenue. For more information about Metro please visit http://www.wmata.com/ or click here. TAXIS/UBER: Taxis are usually available along Constitution Avenue. If you are trying to take an Uber to get there, the address that a visitor should use is: 5 Henry Bacon Drive NW, Washington, D.C.